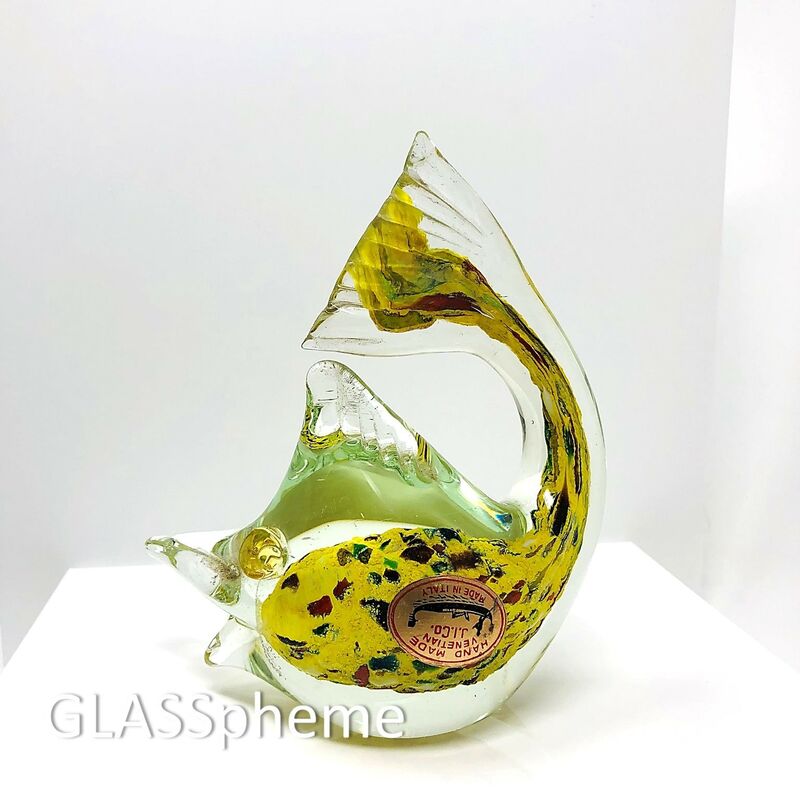 JICo -- Jordan Import Company -- imported Murano glass into the United States in the 1950s and into the '60s, most of which they reportedly designed and manufactured themselves. 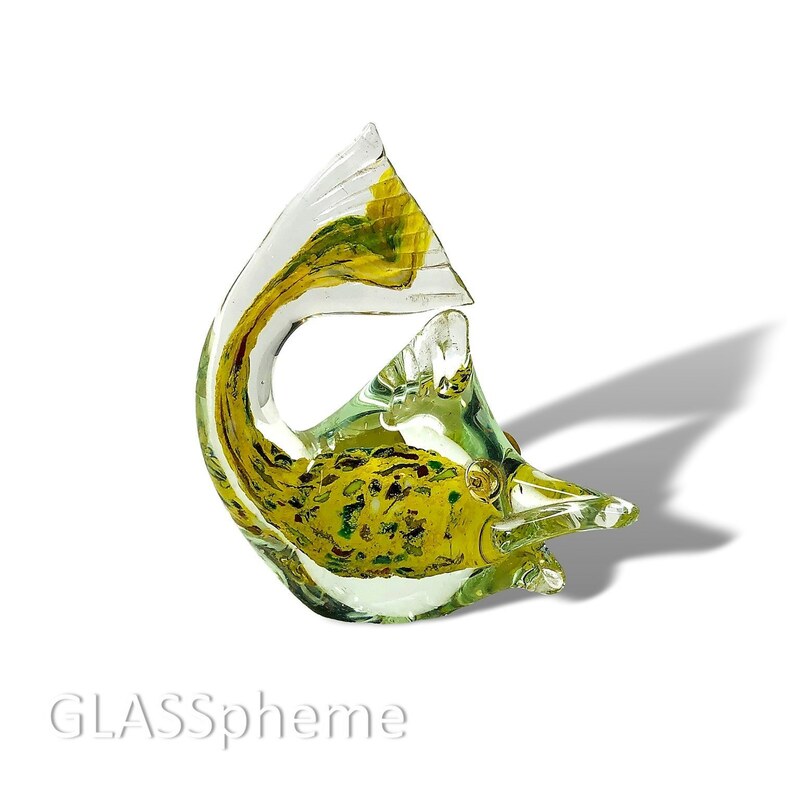 While JICo labels (silver with a black gondola) have been discovered on pieces likely to have been done by some of the major mid-century Murano glass houses (noteably A.VE.M), I believe that this beautiful fish is an original JICo design. J.I. 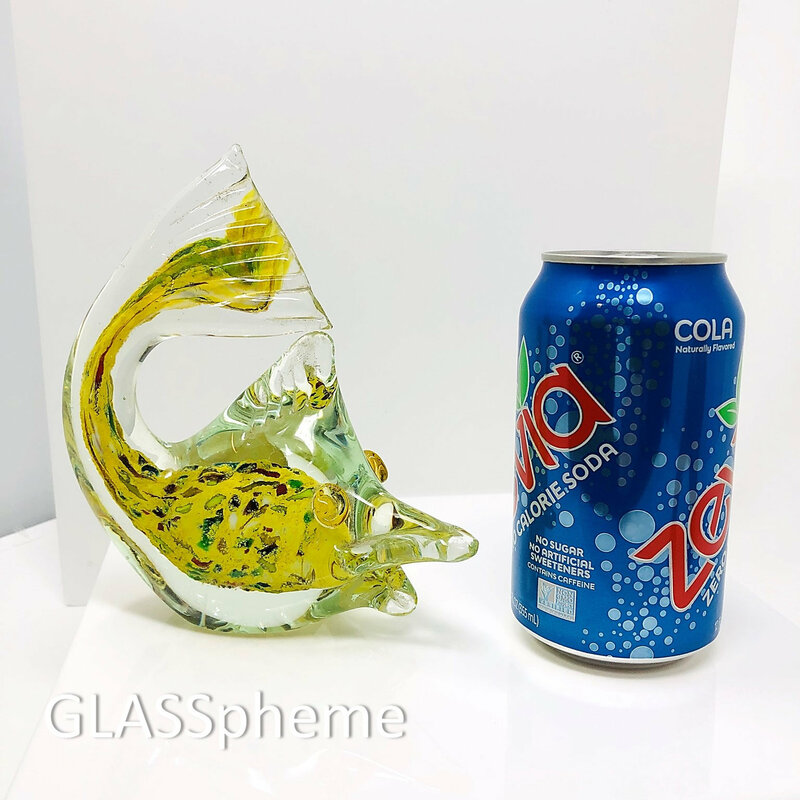 Co. was and is known for the bright colors and innovative use of metalics and other materials in their glass, and this piece also has some very original design elements. Encased in a thick layer of crystal glass is a yellow clay-like substance festooned with bright-colored glass bits, murrines, etc. It's a paperweight and a party rolled up in one! Despite the fact that pieces labelled J.I. 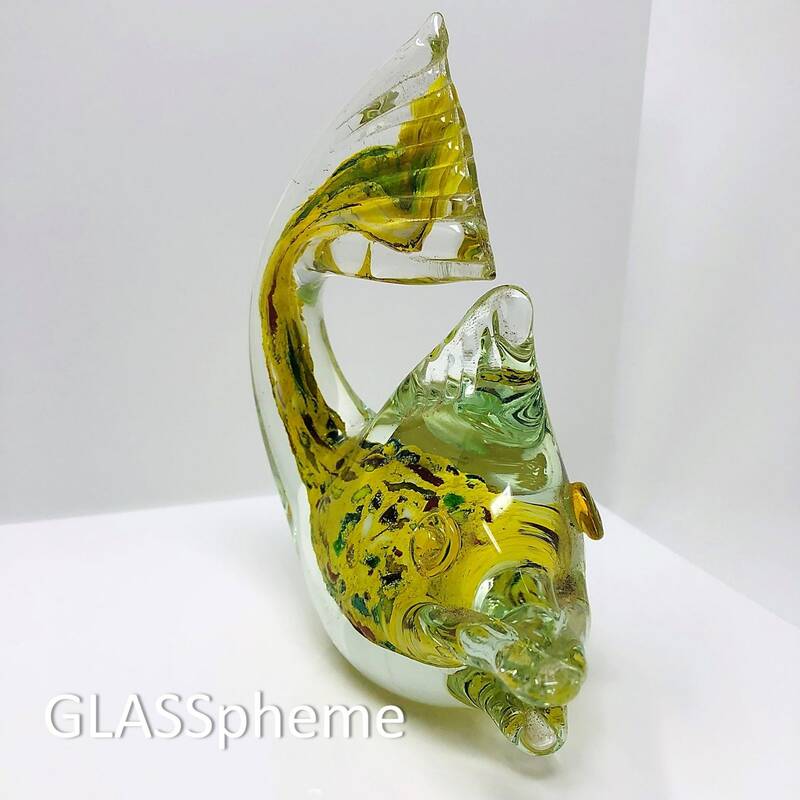 Co cannot be anything but mid-century Murano glass--and the Murano glass market (particularly animials) is overrun by Chinese fakes, I'm usually surprised at how these beauties aren't being sold at similar premiums as other documented mid-century Murano glass. While JI Co. isn't Seguso or Barbini, the quality is most assuredly there, and many of the designs are innovative and downright miraculous. As such, I always get excited when I come across Murano glass sculptures by Jordan Imports, and buy them as often as I can.